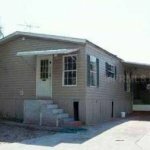 We Buy Houses Anywhere In New Port Richey, In Any Condition. Check Out How Our Process Works. We’re Ready To Give You A Fair Offer For Your House. 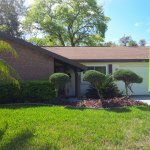 If you want to sell your New Port Richey house fast… we’re ready to give you a fair all-cash offer. We are the Go-To local “We Buy Houses Cash” home buying service in Holiday, New Port Richey, Port Richey, Hudson, and all of Pasco County. 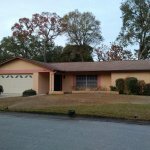 We have been helping Pasco County home owners sell unwanted or burdensome properties since 2004. 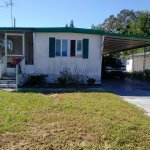 Here is a house we recently purchased for all cash in New Port Richey FL. Our goal is to help make your life easier and get you out from under the property that’s stressing you out… while still paying a fast, fair, and honest price for your house. So if you’ve been thinking “I need to sell my house fast in New Port Richey FL”, we are here for you. We help property owners just like you, in all kinds of situations. From divorce, foreclosure, death of a family member, burdensome rental property, and all kinds of other situations. 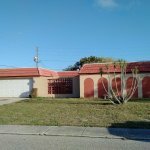 We buy houses New Port Richey FL and surrounding areas and pay a fair cash price, fast. Sometimes, those who own property simply have lives that are too busy to take the time to do all of things that typically need to be done to prepare a house to sell on the market… if that describes you, just let us know about the property you’d like to be rid of and sell your house fast for cash. If you simply don’t want to put up with the hassle of owning that house any longer, and if you don’t want to put up with the hassle and time-consuming expense of selling your property the traditional way, let us know about the property you’d like to be rid of and sell your house fast for cash. Talk to someone in our office before submitting your property information by calling us today at 727-777-4000. Don’t be the person who ends up saying “I should have called that We Buy Houses company, Champion Properties, but I didn’t take action, and now my problem is 10 times worse”. Call us today, or fill out and submit the form on this page.